There are some occasions in life that are so special and personal, they should be kept small and intimate. 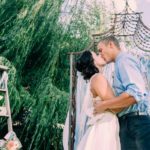 Elope in Idaho to skip the stress of planning a large wedding and let us handle all the details. At our Coeur d’Alene bed and breakfast we have elopement packages that suit all your personal needs and expectations making your special day everything you want and more. Our elopement package creates an intimate escape for just the two of you. Intimate wedding package or renew your vows, reflect on all that you share together, and all the years to come. Up to 12 guests, one hour use of the site. Share the most important day in your life with those most important to you. Up to 20 guests, two hours use of the site. To view more of what we can add to your Idaho elopement package see our wedding enhancements. Fill out our online information request form or call Owner & Wedding Coordinator Tina at (208) 765-520 for more details or to start planning your intimate Coeur d’Alene elopement wedding today!